Children’s Health, the eighth largest pediatric health care provider in the nation and a leading pediatric health care system in North Texas, has joined forces with PM Pediatrics, the nation’s largest provider of specialized pediatric urgent care, to open the first Children’s Health PM Urgent Care practice on September 10. Located in The Colony, the all-new urgent care practice will be the first Texas location for PM Pediatrics, which currently has more than 30 pediatric urgent care locations throughout the Northeast and Mid-Atlantic regions. 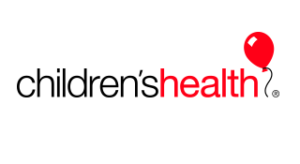 Children’s Health PM Urgent Care has plans to open additional urgent care practices in North Texas in 2018 and 2019. Children’s Health PM Urgent Care will be open 365 days a year from noon to midnight to treat non-life-threatening common conditions in newborn through college-age patients. Dedicated solely to the treatment of children and young adults, the practice will be staffed by board-certified pediatric emergency physicians and pediatricians, and will feature an onsite digital X-ray, EKG and laboratory. In addition to treating a variety of illnesses and injuries, including fever, infections, wounds requiring stitches, fracture management and respiratory care, the practice also treats dehydration, which is particularly important during cold and flu season and when treating heat-related illnesses.